We install backing on new rugs and also repairs and replaces backing on older rugs, including antique and Oriental rugs. We do understand that each type of rug needs its own expert care, so we provide hand backing and machine backing installation and repair services. 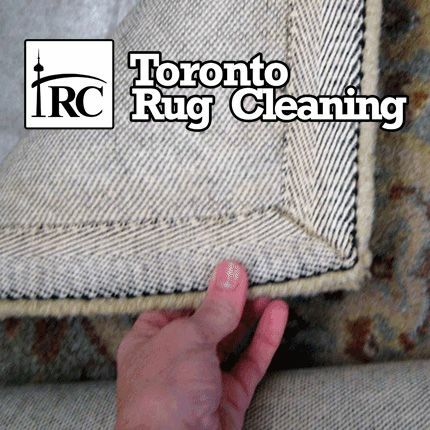 To learn more about our services, and our other rug repair and restoration services get in touch today. Call us today for service in Toronto & GTA. Why add rug backing to your rug? Many rugs come without a proper backing, or with a backing that isn’t designed to last through everyday wear and tear. A good backing with protect your rug both from daily use and also from mold, dust and water. When we add carpet backing to your rug we do it in a two layered system. The first layer, the primary backing is a coarse-textured material, designed to support and strengthen the foundation of your rug. The second layer acts as a barrier against dirt, mold and insulates your rug.